School is expensive. Here are ways you can pay for it from the AOL Partner Studio. Parents everywhere know that school is expensive and that the costs are rising. The Canadian Centre for Policy Alternatives confirms the statement too. A study they conducted last year shows that, "on average, tuition and compulsory fees for Canadian undergraduate students have tripled between 1993-94 and 2015-16 and will continue to rise over the next four years." But the fees for school start to roll in way before the kids head off to college and university. There’s the cost of field trips, school uniforms and of course, the cost of missing or broken backpacks (parents, you know the struggle). 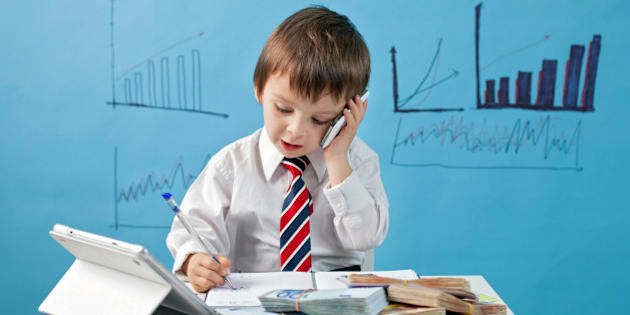 Needless to say, it’s important to devise a financial plan that works for you early on in your child’s life. There are the traditional ways to pay for education including loans and grants, but you shouldn’t forget things like home equity and all-in-one accounts that can help you on the path of financial success. Ready, mom and dad? This is how you’re going to pay for your kid’s education. Let’s start with the tried and true: RESPs and TFSAs. The Registered Education Savings Plan (RESP) is a savings plan registered with the federal government and is used to save for a child’s post-secondary education. Parents (or other individuals) and the government contribute money to the account where your funds can grow tax-free until your child uses it for school. But here are two tips that can help you make the most out of your RESP. If you have the money to do so, it’s often a smarter idea to contribute to an RESP as soon as possible and deposit $2,500 a year. You can receive the Canada Education Savings Grant (money the government adds to an RESP) on contributions of up to $2,500 per year. If you can’t reach that total in a particular year, you can catch up in later years. You can read more about those rules here. The Tax-Free Savings Account (TFSA) is an account where people can set money aside without that total being taxed. It’s offered to people who are 18 or older with a valid SIN number. Thanks to a strong housing market, most homeowners have built up some equity. That means as you paid down your mortgage, the value of your home increased. The difference between the value of your home and the unpaid balance of your mortgage is your equity and you can tap into some of it to help pay for school through a home equity line of credit (HELOC). With a HELOC you can borrow money whenever you want, up to your credit limit. That limit is determined by your lender and regulations set by the government. Check out this formula to see how line of credit limits are set. If you’re interested in this revenue stream, you can apply for a HELOC to see if you qualify for the program. What if we told you there was a better option? One that you can save and pay down debt at the same time? Would you believe us? Say you had taken out a home equity loan or refinanced your home to pay for your kids’ education. Often it’s a case of choosing between paying down the loan and saving. All-in-one accounts like Manulife One, which combine your mortgage, line of credit and banking, can give you both options, in one account. Your income and your debt are in one account so whatever is left in your account at the end of the day goes into paying down your debt. And you have easy access to the equity in your home so you can also withdraw from the account as you need it. Life = changed forever! If your kids have friends and family (thank you grandma!) who want to contribute to their education, consider setting up a trust to manage the money. The trust basically is a legal agreement with terms and conditions on how the money will be used for its intended purpose. Keep in mind that there could be tax implications with the setup of a trust so always work with a professional. Post-secondary education is expensive but studies have shown that people who invest in it will earn more money during their lifetime than those who don’t have a post-secondary degree. With that incentive, investing in your child’s education just makes good sense. Setting up a Manulife One account makes sense too. It offers more flexibility than a traditional mortgage or Home Equity Line of Credit and allows you to access home equity to pay for your children’s education.